British Metropolitan Police to be armed when guarding vulnerable positions. The Swedish government agrees to transport German war material across Sweden to Norway. Swordfish aircraft damage the French battleship Richelieu at Dakar after the French reject demilitarization proposals. Soviet military mission arrives in London. Twenty B-17s fly in their first mission with the Royal Air Force over Wilhelmshaven, Germany. Litvinov Broadcasts in English from Moscow saying that the UK and Russia must strike at Germany together. Panzer Group 4 of Army Group North captures Pskov and advances toward Novgorod and Leningrad. Germany and Italy announce the dissolution of the state of Yugoslavia, with large portions annexed to Italy. The 4th Panzer Army at Voronezh begins an offensive southeast along the west bank of the Don, with the aim of meeting up with 6th Army which is advancing East toward the Don from Kharkov. The objective is to establish bridgeheads across the river in the Kalach area and then continue on to Stalingrad. However, heavy rain and lack of fuel slowed the advance, allowing the Russians time to withdraw their armies intact. Army Group A’s, 1st Panzer Army crosses the Donet’s river. 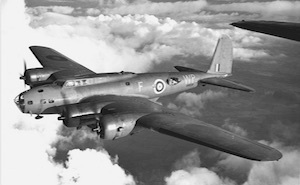 Axis bombers carry out raids on the harbor facilities at Valetta in Malta. British forces in North Afrika devise a new method of destroying the enemy’s water supply. They put fish oil into the wells that are to fall into German hands, making the water undrinkable. As the battle of Kursk reaches its climax, the exhausted German forces are unable to make any further gains while losing vast numbers of men, tanks and planes. Soviet claims for the day are 304 tanks and 161 aircraft, while the Germans claim 400 tanks and 193 aircraft. American B-24 bombers strike Japanese-held Wake Island for the first time. The British Second Army begins a major offensive ‘Operation Charnwood’ aimed at capturing Caen. The Russians capture Baranovichi, 80 miles South West of Minsk. Lieutenant General MÃ¼ller, the commander of German 12th Corps surrenders with 57,000 men. Street fighting is reported as the Russians enter Vilna. Army Group Centre’s losses have now reached 300,000 men (28 divisions) in less than three weeks. The Japanese Fifteenth Army is ordered to retreat to the Chindwin after losing 53,000 men and 17,000 horses since the 7th March. The U.S. Navy shells Guam in the Pacific.